California is undoubtedly the most beautiful state in the US. From the scenic mountain ranges, to the dazzling sandy beaches, it's no wonder the movie industry found their home here in the Golden State and more locally, Los Angeles! 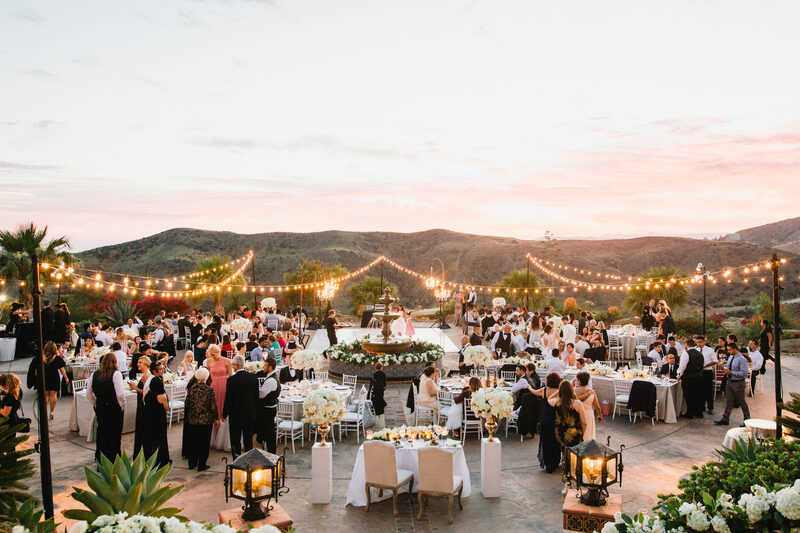 When it comes to wedding venue options, you can't go wrong when choosing a location in Los Angeles and the gorgeous surrounding areas. You truly can find a vast array of options to suit your specific style. Whether you're looking for a Vineyard wedding, Rustic wedding, Urban wedding, Classic wedding, Country wedding, Beach wedding, Mountain Wedding… there are so many options! The scenery at all of our TOP 7 locations are just absolutely breathtaking. 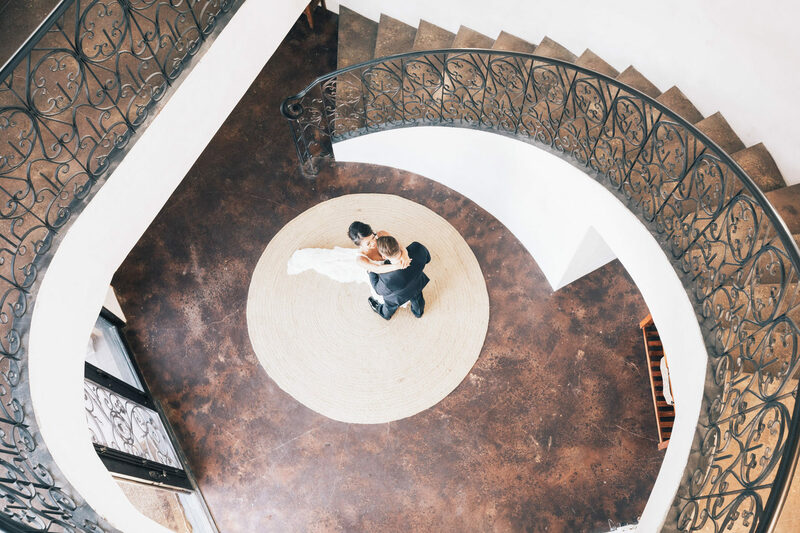 HDstudio.us have been filming in California for years, we have filmed at tons of wedding venues, and though it was a challenge, we were able to choose our TOP 7 wedding venues, from a photography and videography point of view. Why is that important? Well, because some places look amazing at first glance, but the fact is, they simply don't photograph well. There are so many details that are important to consider when you are choosing your wedding venue, because at the end of the day, the flowers will droop and the food will be eaten, but images and videos- that is what will remain in your memories forever! Alright, here it goes! 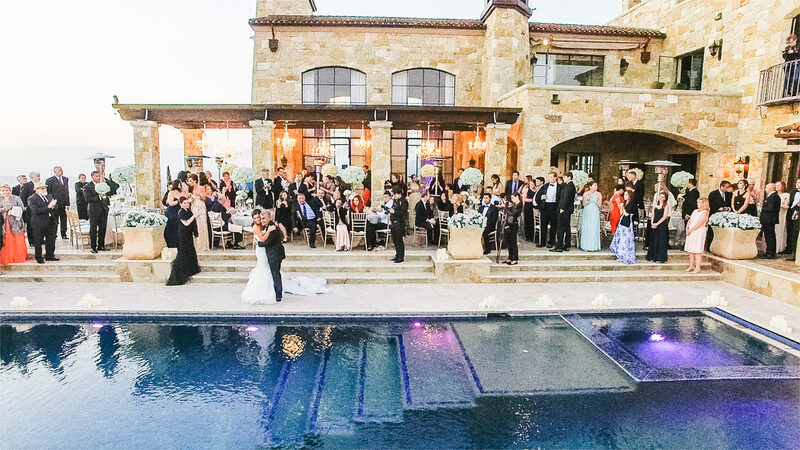 Here are our TOP 7 Weddings Venues List! Portofino hotel is a quite and romantic hotel located in Redondo Beach Marina. Seriously it got this vacation vibe and it's absolutely adorable. From the first view this place won't impress you very much, yes it got the ocean view, but your would say, and what? But seriously it's much more then that, every single time when HDstudio.us film and photograph a wedding there - we getting an amazing footage, there is so much beautiful and unique spots- jetty, marina, hotel's lobby. The nature is just so beautiful there- seals, seagulls…and those sail boars which pass by every other minute… That's all makes the wedding films and images beautiful and unique! When time comes to sunsets- there are always outstanding! Check, check and check- The Portofino Hotel is an amazing wedding venue for someone who are in love ocean vibe! There is the venue we had few events in, it's a private Estate on the top of the hill with the view to the ocean and all Santa Monica mountains…. Seriously this place is just special. It is not a big one, but it get everything you need for a swish wedding day! It got beautiful vineyards, fantastic sunsets, amazing architecture, tasteful interior design, and great management! The staff us just super friendly! Every time HDstidio.us books wedding at this venue all the crew got excited! And again Malibu, I am sorry but I am not really sorry! Malibu just really collected the most fantastic wedding venues and one of them is Calamigos Ranch. Calamigos ranch is an ideal place for someone who like rustic weddings. 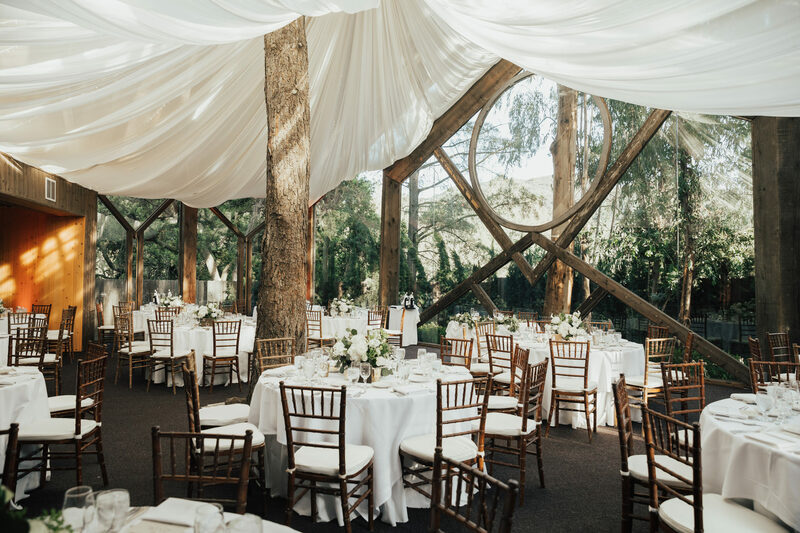 The venue is a hidden forest in the middle of Malibu mountains, It collects several excluded rooms each of has everything you need for a romantic wedding! The place has waterfalls, trees, ceremony arches, bridges and at night when all the illumination turned on and the venue looks like a magical garden from a fairytale. HDstudio.us just love to work at Calamigos Ranch, great pictures and wedding videos are guarantee. Hummingbird Nest Ranch is a gorgeous villa located in the Santa Susana Mountains. The main villa builded in regal Spanish style has unbelievable view to the mountains the the surrounded area. Beautiful Spanish decor, fountains, olive trees, massive grass field, exquisite Indoor decorations,- the venue has so many locations for taking pictures and videos. The villa has several garden areas for ceremony and a beautiful main front yard for the reception set up. Arial shots from this venue are just fantastic! Venue offer accommodation to- several houses- great spots for the getting ready of bride and groom. When the sunset comes we like to take the couple to the nearest Rock spot and to take breathtaking pictures and videos as well. The venue itself is defiantly for someone who wants to organize elegant outdoor wedding! Millennium Biltmore Hotel is just ideal venue for black tie events. The building itself and the interior design are just exquisite, very classy and elegant. 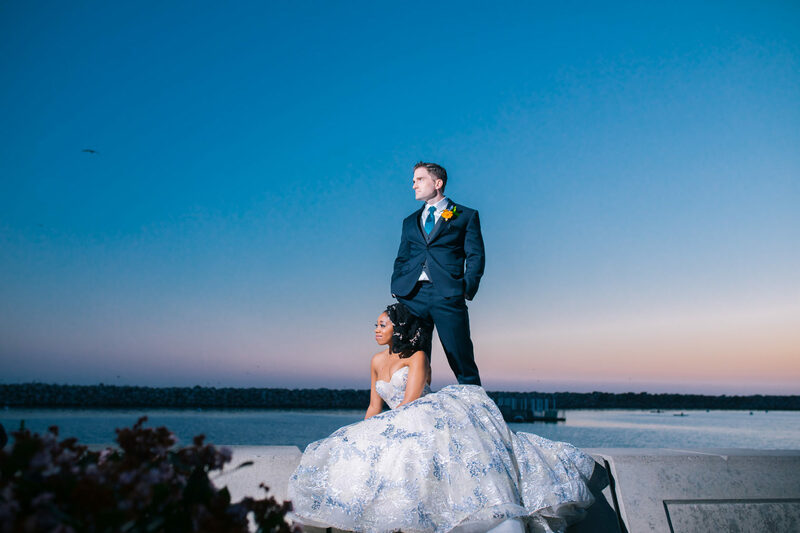 It has beautiful rooms with DTLA view, fantastic staircases in the main lobby, outstanding ballrooms with unbelievably high ceilings, courtyard with perfect background and light for family portraits. Millennium Biltmore Hotel has fantastic ballroom surrounded with balconies which gives us to photograph a very unique images and footage. HDstudio.us just love Biltmore for that 1920 classy vibe, all the films and pictures we produced there are very arty! Besides that across a street of the hotel is a city park- also a beautiful place for photography with down town in on the background. So as a result the images and videos from Millennium Biltmore Hotel are a mix of classic elegant and urban styles. 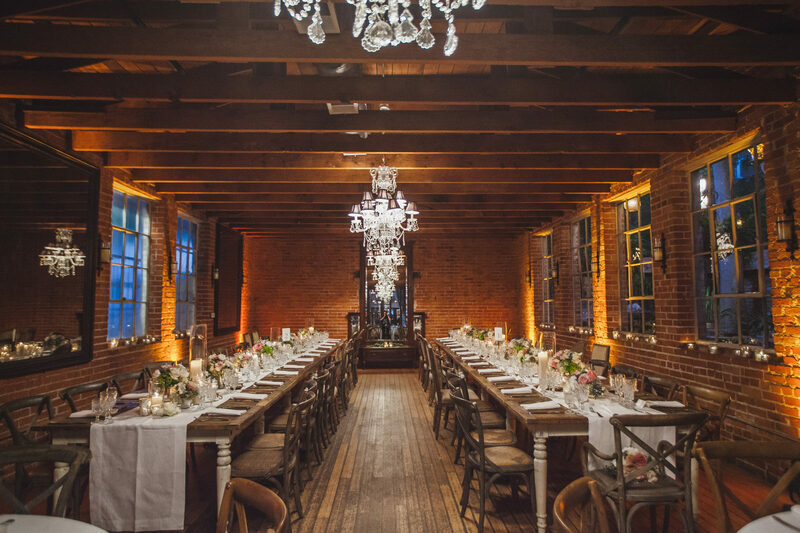 Carondelet House is a very unique and definitely special wedding venue which located in DTLA. What makes it so special? I'd say everything, the venue has several zones each of has unique vibe and design. Carondelet House has is an artistic and elegant city style design. It has a specious room upstairs where a bride could get ready. Downstairs is the foyer with unbelievable paintings and masterpeacies all over. It has grand piano so you could invite a pianist, which will add a romantic tone to your wedding. Next room is a tiny courtyard - definitely Italy inspired- very special place for the pictures and first look. The main ballroom is a cozy and beautiful room, with brick walls and big windows. There are one more courtyard which usually used for bar area- it also just amazing place for photography. Next door parking garage has a rooftop- so fantastic images are guarantee!!! Well, Malibu is always will be an ideal place for wedding day for us. Yes, we are spoiled by diversity of choice for sure. But listen, if you want us to be truly honest and tell about dream location which has fantastic views, ideal ceremony set ups, great sunsets, mountains, exquisite architecture, infinity pools, beautiful vineyards- that's only possible in Malibu Rocky Oaks- a private Estate which became a mega popular location for private events and film productions. It located right on the top of the hill but has as a quick and easy access to Kanan road. From the moment you passing the front gate of the mansion you feel like you got teleported into ideal world- world of elegance, luxury and beauty. Malibu Rocky Oaks is just the best of the best place for a wedding. Words, are words, let us show you the videos so you could see it yourself. Feel free to write and to call us. We believe that communication is a key stone of any relationships.